"AC/DC co-founder dead at 64". NewsComAu. 喺18 November 2017搵到. "AC/DC co-founder Malcolm Young dies aged 64". 18 November 2017. Thorpe, Vanessa (18 November 2017). 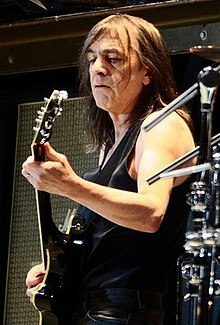 "AC/DC co-founder Malcolm Young dies aged 64" –通過www.theguardian.com. Reporters, Telegraph (18 November 2017). "AC/DC co-founder and guitarist Malcolm Young dies age 64" –通過www.telegraph.co.uk.